With preseason underway, we continue to discover the new pairings that are forming for 2019. One of them is an exciting blend of youth and experience: Agustín Tapia and Juan Martín Díaz, a pairing that will offer more excitement than pretty much anyone else. 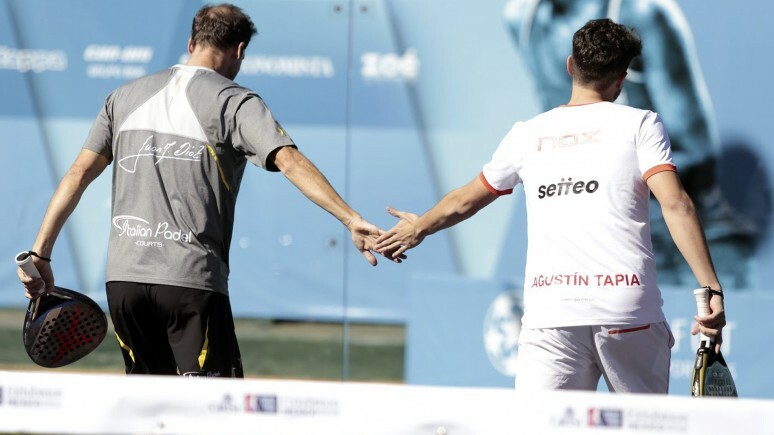 After his first full season on the World Padel Tour, youngster Agustín Tapia has caught the eye of everyone. He started the season alongside Brazilian veteran Marcello Jardim, with whom he achieved a best result of a quarter final. Unfortunately, a foot injury sidelined the young Argentine for four months last season but he still had enough time to show what he was capable of. Quick, voracious, creative and spectacular. A diamond in the rough who everyone expects great things of in his second season on tour. At the age of 43, Juan Martín Díaz heads into yet another season on tour. After missing the whole of 2017, Diaz was back in 2018 alongside Paquito Navarro. The Argentine reached three finals and ended the year in the top five. A unique player with a special sense for the game. He will now try and guide his young partner on court. An explosive duel that wants to let its imagination run wild. Definitely a pairing fans will be more than happy to pay their ticket to go and watch.